There could be a sub-genre of all the films that have been made about returning soldiers from the Middle East. Some of them are based on true stories, while others deal with varying degrees of PTSD, but most of the time these are men coming home from war. 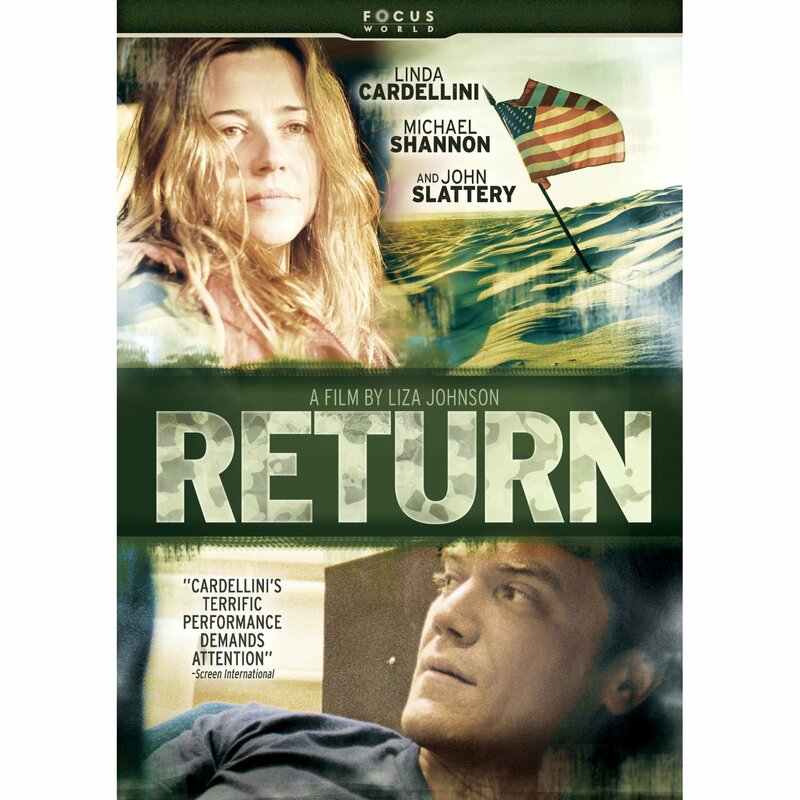 “Return” is the rare film that focuses solely on one soldier, a woman. Not that long ago, “Home of the Brave” had Jessica Biel as a soldier and in the recent “The Lucky Ones” Rachel McAdams starred as one as also, both played physically injured characters in films consisting of ensemble casts. In her directorial feature debut, writer-director Liza Johnson gives actress Linda Cardellini a well-deserved opportunity to carry a film, as a soldier trying to reintegrate back to civilian life. Both women do a superb job conveying the alienating transition and the confusion and challenges that comes with it. It’s a fine, melodramatic character piece more concerned with the anxiety and despondence that affect so many, than it is with providing any stance on war or providing any kind of statement. Kelli (Linda Cardellini) is a reservist who has returned to her small Ohio town from a tour in the Middle East. She is warmly greeted by her loving husband Mike (Michael Shannon) and their two young girls. We watch as they embrace in the airport and find Kelli taking in the smells and sounds of her family as she holds them tight. She’s been gone for a while, but it doesn’t take long for her to hear friends mention how great Mike has been with the kids and soon finds herself subjected to inane banter on a girls night out. As much as she tries to get back into the groove of things, she finds the warehouse job that was held for her meaningless and the demands of domestic life overwhelming. She finds herself looking at her family and wondering what place she has in it, where she fits in now that so much has happened without her. Her distant and forgetful behavior soon becomes concerning to others, but only slightly to herself. Finding solace in alcohol increases her anxiety and paranoia, like suspecting her husband of unfaithful behavior. Kelli soon finds herself jobless and earning a DUI, which leads her to a support group where she meets the patient Julie (Talia Balsam) and Bud (John Slattery) an understanding war veteran. For different reasons, both of them can relate to what Kelli is going through, but neither of them can help her. In fact, there may be no escape from her crippling despair and frustrating disorientation, just as there is no possible way to go back to the way things were before she served overseas. 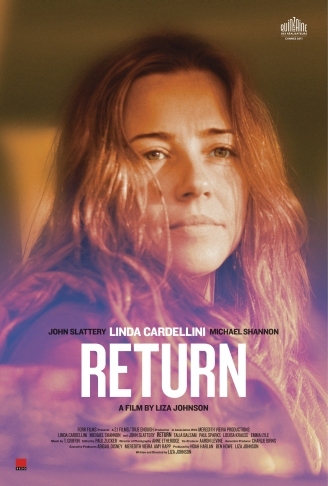 What’s special about “Return” is the way in which Cardellini communicates what is happening to her, without saying much of anything. From her hardened and weary expressions to her slouched body language and a catatonic cadence, Cardellini is fascinating to watch. As Kelli, she’s gifted with the ability of vulnerability, irritation, and heartbreak, in such an effortless believable fashion. If viewers only know Cardellini from her time on “Freaks and Geeks” and “ER”, or as Velma in the live-action “Scooby-Doo” movies, they would do well to check out an actress who has made quite a presence in several comedies and dramas. As for Shannon, it’s hard not to watch his role here and not think of his role in last year’s “Take Shelter”, where he played another blue-collar Ohio family trying to provide for his family. This may be the most straight-forward character he’s played, but there’s still an absorbing presence about him. Together, both actors convincingly portray a couple who may’ve hooked up at a young age and probably were good friends and quite playful together. But it’s when they accurately convey in a number of understated ways, the way in which their marriage is falling apart upon Kelli’s return. Johnson utilizes the setting and the supporting characters in a quiet and fulfilling way, depicting how the economy has affected the American Dream here. From job closings to the addicts we see in the support group, there’s a palpable drain in the circumstances that are presented. It helps that Johnson has a fine cinematographer in Anne Etheridge, who lights most of the film with vibrant natural lighting, and that music from composer T. Griffin accompanies the film with an appropriate low-key resonance that matches well with the tone and feel of the characters. These elements add a certain mourning or indescribable distance to “Return” that fits well with what Kelli and those around her are feeling. While her directing is impressive, Johnson’s storytelling shouldn’t be overlooked either. She thankfully avoids any combat flashbacks or any details about what happened while Kelli was away (both in the Middle East and in Ohio), which allows us to focus on the here and now. Johnson doesn’t give Kelli any specific tragedy that haunts her or a physical injury to deal with. Instead, we see Kelli repeatedly explain to her friends and family that other soldiers had it a lot worse off than she did, as if to convince herself more than anyone else. Johnson also thankfully doesn’t over-explain the difficulties and deterioration of the relationship between Kelli and Mike, respecting us to acknowledge and understand where these two are going all on our own. 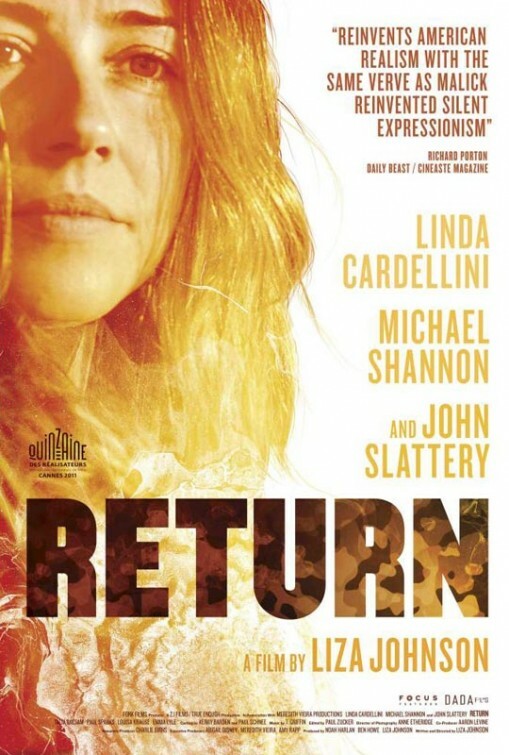 Films like “Return” are the best kind of war films. We don’t have to be placed in the battle to see the tremendous toll it can have on someone who’s been there, especially after it’s over with. Kelli probably didn’t see much action over there, but obviously what she did experience has affected her enough to cause her to struggle with the life she now has.